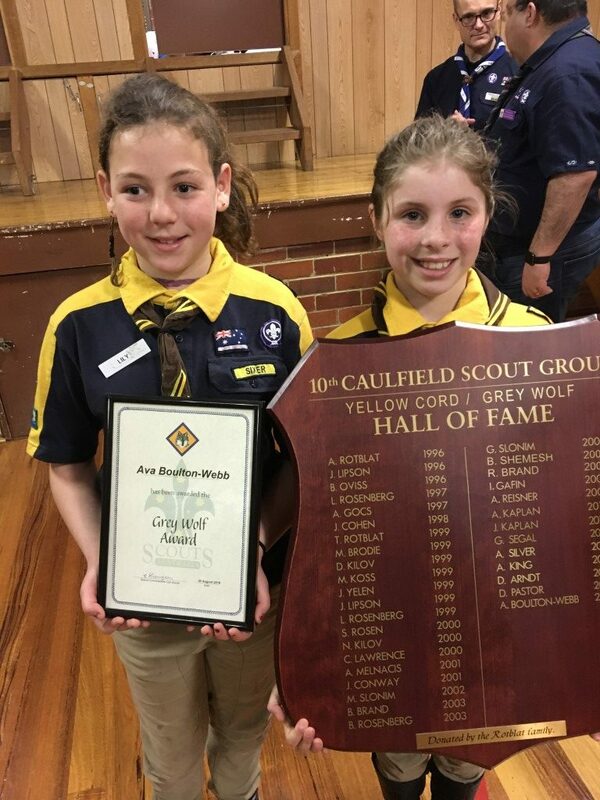 Ava Boulton-Webb is 10th Caulfield’s latest Grey Wolf Cub Scout! 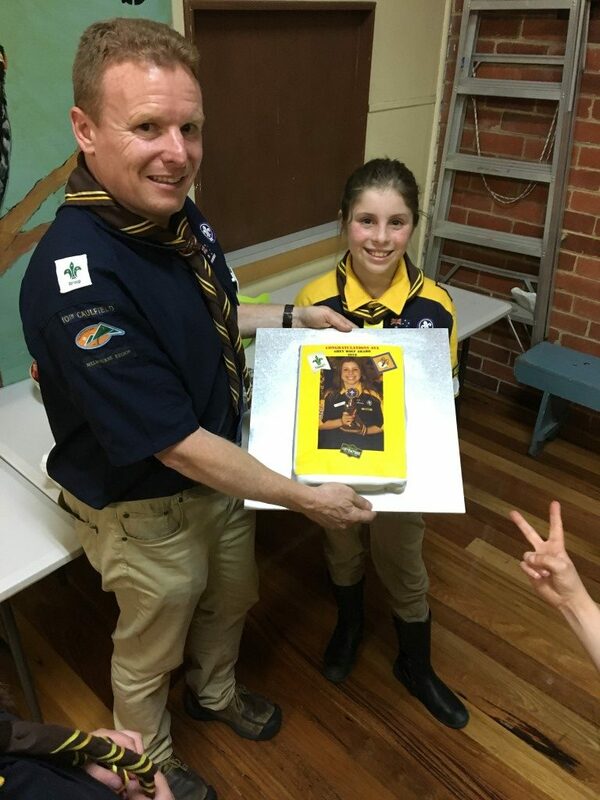 On Tuesday, September 11th 2018, Scouts Australia dignitaries from District and State level will be at the scout hall in Miller Street, Elsternwick to present the coveted badge to Ava Boulton-Webb. The Grey Wolf Award is the pinnacle of the Cub Scout Section and one that only a 6% of Cubs attain in Victoria. It is no surprise Ava has reached her ultimate goal. 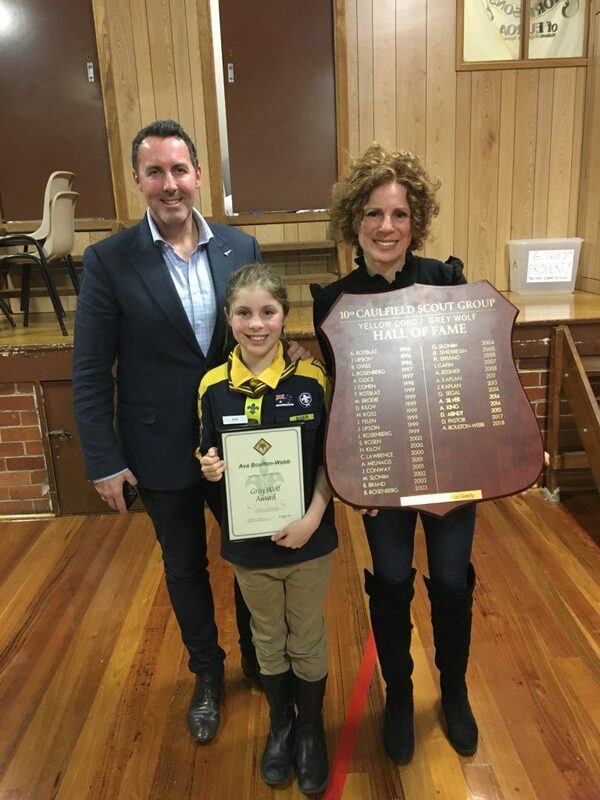 Last year she was awarded ‘2017 Cub Scout of the Year’. There are a number of requirements involved in earning this big achievement. Ava had to complete merit badges covering safety, outdoors, health and fitness and scouting traditions. She also had to attend pack council meetings, an overnight camp and plan and lead a 2-hour bushwalk entirely on her own. 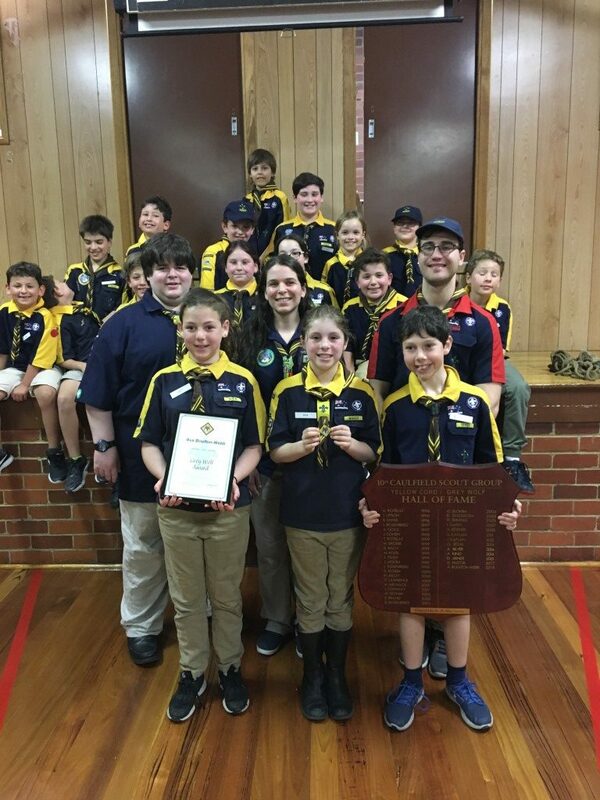 It has been a tremendous year for 10th Caulfield Cub Scouts, with yet another Cub receiving her Grey Wolf award – the highest individual award in Cub Scouts, which is open to boys and girls aged 8 to 10. 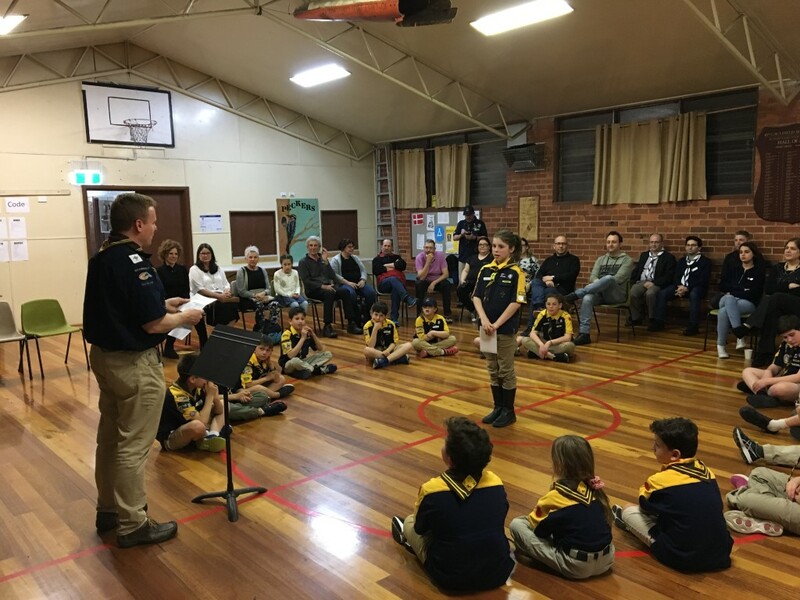 This continues a strong tradition of 10th Caulfield Cub Scouts achieving their Grey Wolf badge, with 3 more cubs over the past 3 years. Ava Boulton-Web, aged 10 and in year 5 at The King David School, joined cubs in 2017. She has totally enjoyed her time in Cubs, from the badgework, to the fun outings, teamwork and camping. She plans on moving up to Scouts very soon. 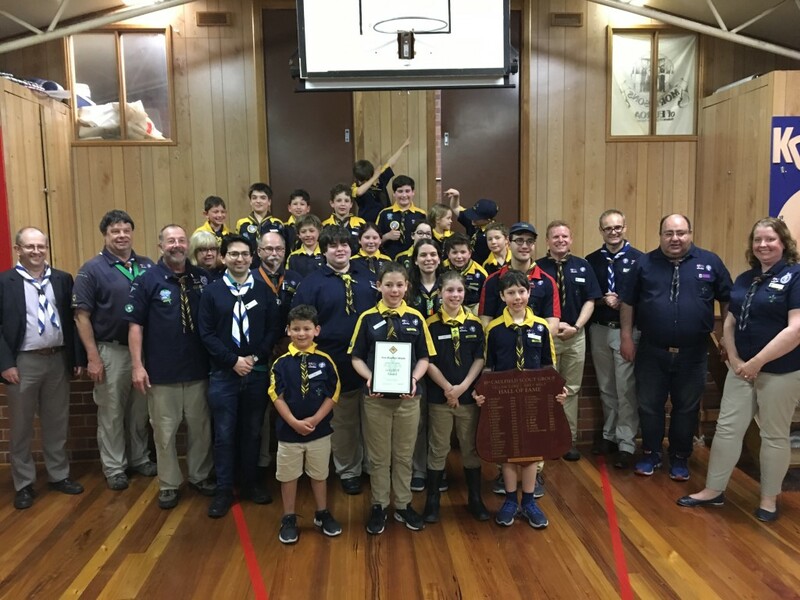 10th Caulfield Scout Group has been based in Elsternwick for over 50 years and continues to offer the Jewish youth of our community quality Scouting in a safe and friendly environment. We are always seeking new members and adult leaders. If you are interested Contact us here.